A translator’s task is not as easy as it seems to be cut out. One would like to believe that all one needs is a felicity in two languages. That is far from the truth. When there are two handles on door, remember if you push one and pull the other, the door shall never open. The risk, if one can term it that is poetry and idiom are oft lost in translation. Luckily for us, not in this collection of eight long short stories by Sujatha. Taken from the original Tamil, they are lovingly crafted into English in the hope of reaching out to a wider reading public. In ‘Guru Prasad’s Last Day’, the eighth line has a typo but it does not detract from the staccato beat of a film script where an ordinary rivet mechanic in a factory—with unattended blood pressure—has a stroke while at work. It’s the callousness of all those around him, from the ambulance driver to the ham-handed doctor, shifting him from dispensary to clinic to hospital. And all the union sloganeering is of no avail as the riveter meets his untimely end. ‘Hey Raja Stop’ takes the reader through all the elements of a spy-thriller: from mind-bending drugs to rogue doctors, and from the CIA to attempted assassination. I only wish the translator had taken the trouble to check and see that while we did have ‘Roliflex’ and ‘Rolichord’ cameras, there has never been anything called ‘Rolling Flex’ devices to capture light to turn it into images—at least not as far as I know. ‘Rice’ deals with the pan-India aversion of the common man paranoia at getting involved in any accident or mishap for fear of police harassment. Ironically, even after the much-touted changes in the Code of Criminal Procedure folks are still reluctant if not just petrified of getting caught in a web of legal tangles. Then there’s ‘Jillu’. It’s the tale of a boy and his dog—a ball of happiness—caught up in the aftermath of nuclear fallout. But this is no soppy story. Written with great finesse, it takes the reader to the very borders of a screenplay. While ‘The Edge’ takes you through many a twist and turn into the fiendish story of a man’s mind as he plans to get rid of his best friend. 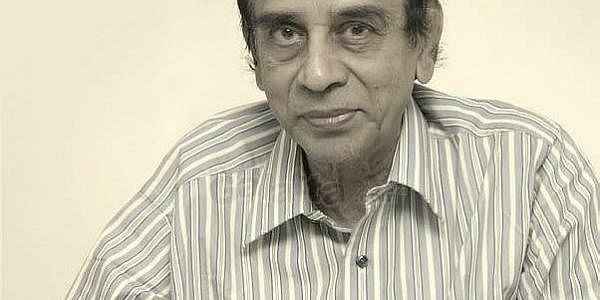 Sujatha’s genius saw this wordsmith at work with Tamil fiction over a career sprawled over five decades. Not surprising at all that many of his stories were turned into films and adapted for television. The book is recommended as a good read for those looking for sudden twists and turns as the narrative unfolds with deceptive ease.